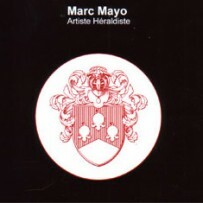 Marc MAYO. 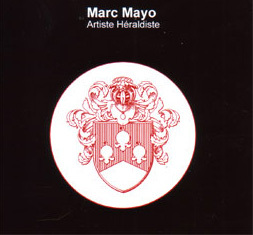 ARTISTE HÉRALDISTE. From Monday to Sunday, every day from 10AM to 7PM. Since 2002, I create or reproduce drawings and paintings of coats of arms and coat of arms according to the wishes of my clients. From simple reproduction to be made from a document provided or from a blank sheet based on family or personal information (history, origin, values, highlights …) I apply myself to produce an original work respecting heraldic rules and uses.